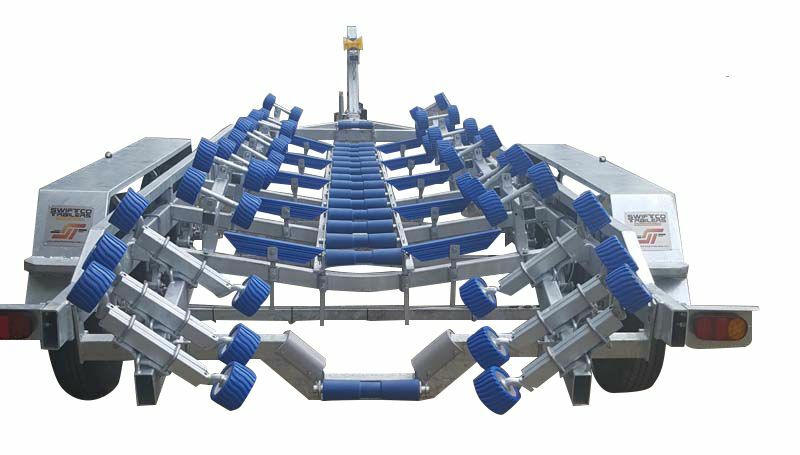 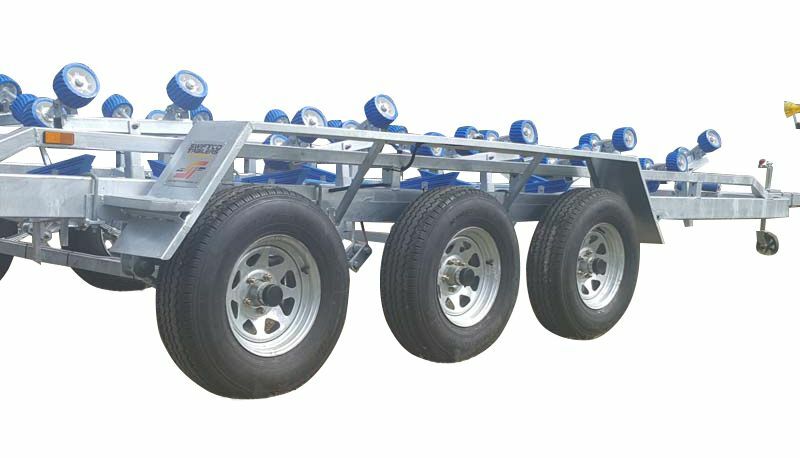 The Swiftco 8.0 Metre boat trailer roller type is ideal for boats from 7.6 to 8.65 Metres (25 ft to 29 ft) long. 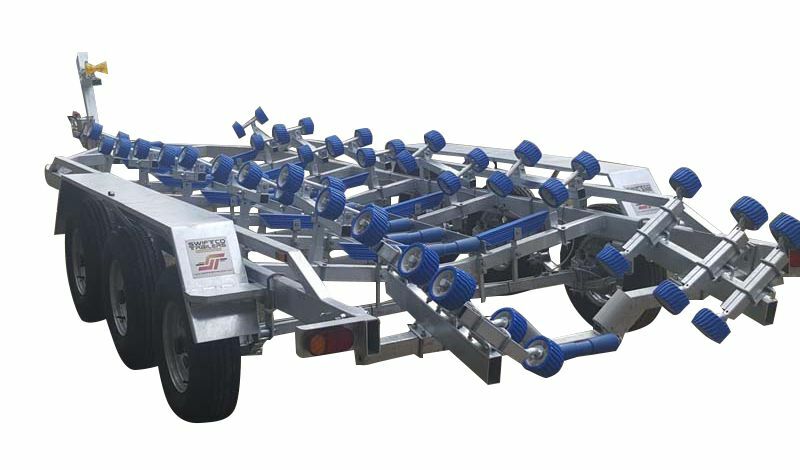 with a combined weight (ATM) of boat and trailer of 4500kg. 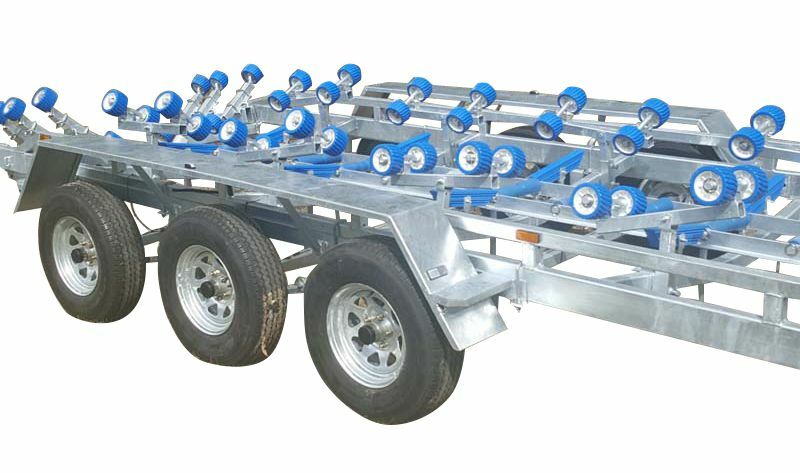 The Range of Swiftco Trailers are all Hot Dipped Galvanised including the wheel rims and guards. 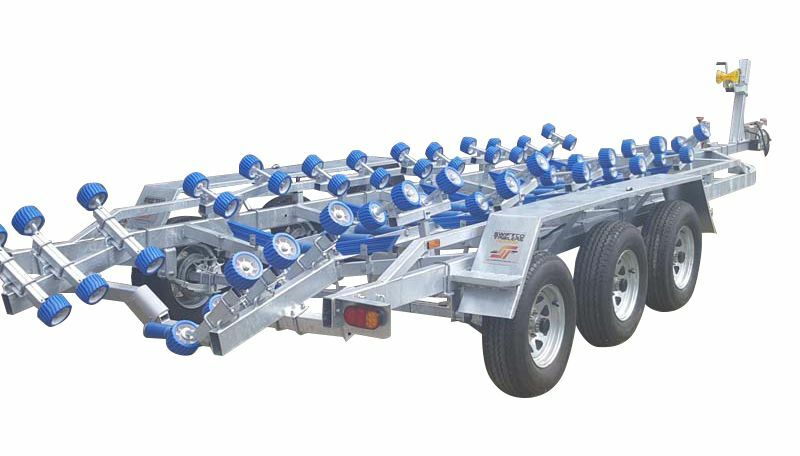 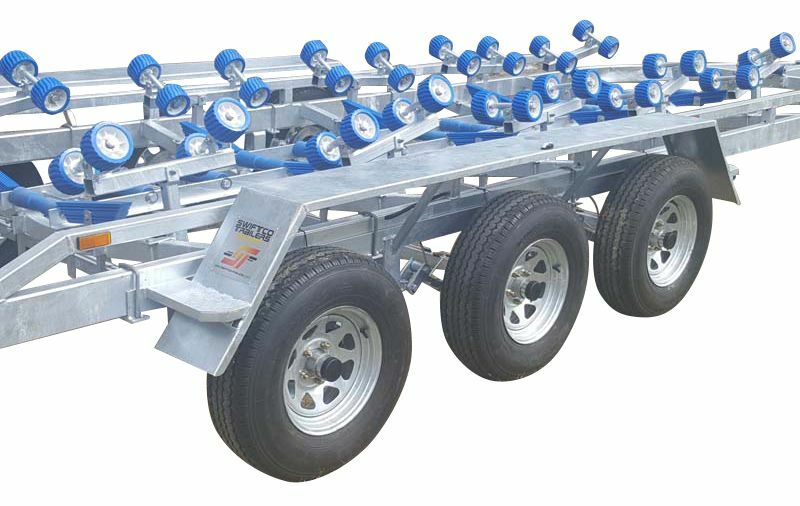 Swiftco brand boat trailers are manufactured to a high quality design and construction standard, 4mm heavy duty chassis and meet all Australian standards.